Resolution is not the point. Since the 19th century, photography has existed in and between traditionally defined boundaries; shifting from a scientific apparatus to a medium of creative expression. Artists continue to push the conceptual and technical forms of photography and image-making by reflecting on this diverse landscape, while drawing from other specialisms and creating valuable new perspectives of our networked world. Resolution is not the point. presents multiple histories, narratives, and forms of photography by ten artists and collectives in an expanded field. 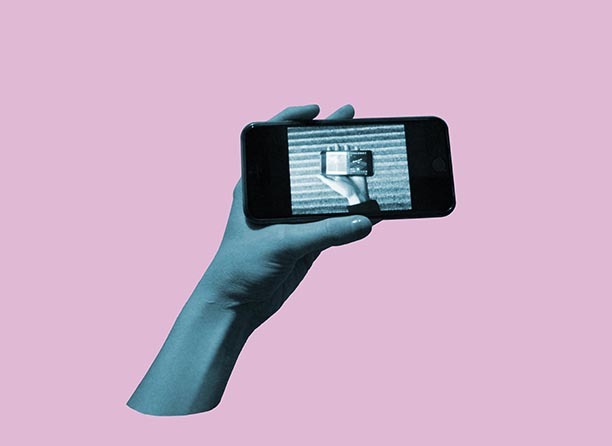 Aesthetic and conceptual modes of exchange can be seen as dialogue between collaborators or fluid, virtual circulation – and the metamorphic nature of the photograph as a catalyst for collective action. The title itself alludes to an approach to exhibition making that is not defined by a singular frame or iteration, but suggests a shifting focus, endeavouring to change ways of seeing and thinking, and reflecting the nature of our curatorial collective as a collaborative and evolving entity. Qiana Mestrich’s artistic practice centres on a continuing investigation into the camera’s ability to imply, construct, or deny a narrative. 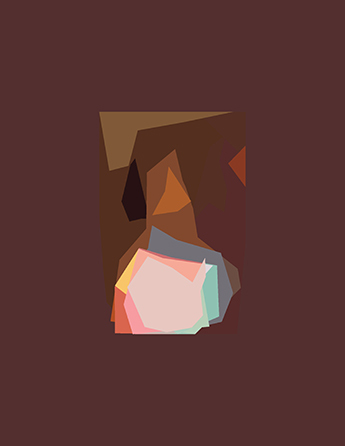 The Black Doll Series abstracts online source images of black dolls for sale on sites such as Etsy and Ebay and the resulting digital images are displayed with their original seller’s descriptions as captions. In this work, the artist uses abstraction as a dynamic means to disrupt stereotypical representations of each doll, and in doing so challenges historical constructions of race and gender. Foundland Collective, The New World, Episode one, 2017, 11 min, video still, courtesy of the artists, with thanks to the Alixa Naff collection, Smithsonian’s National Museum of American History. From the position of artists working between Europe and the Middle East, Foundland Collective speculate what the relentless flow of recent traumatic events might mean for the future. 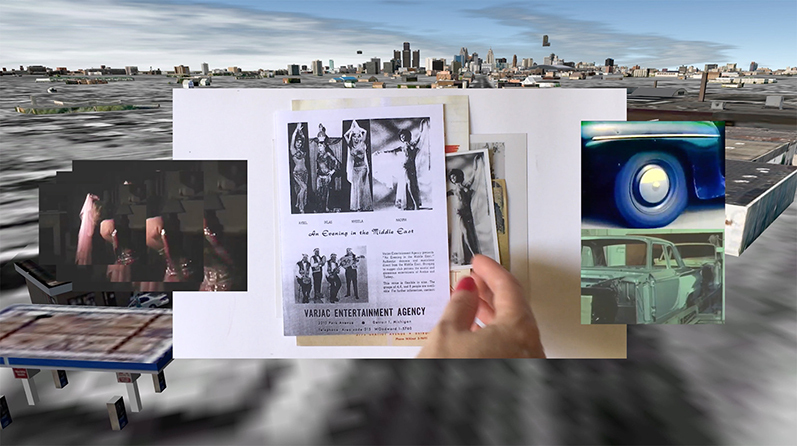 The New World utilises archival photographic images to narrate the travels of Amer and Sana Khaddaj, Lebanese musicians of Palestinian origin who migrated to the United States in 1947. 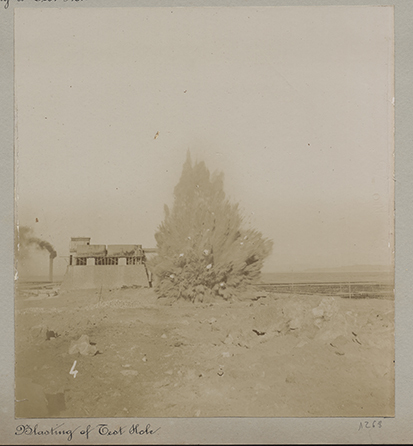 Created in response to a residency at the Faris & Yamn Naff Arab American Collection at the Smithsonian Archive Center in Washington DC, the experiments with different forms of working with a photographic archive critically reflect upon what it means to produce politically engaged, de-colonial storytelling. 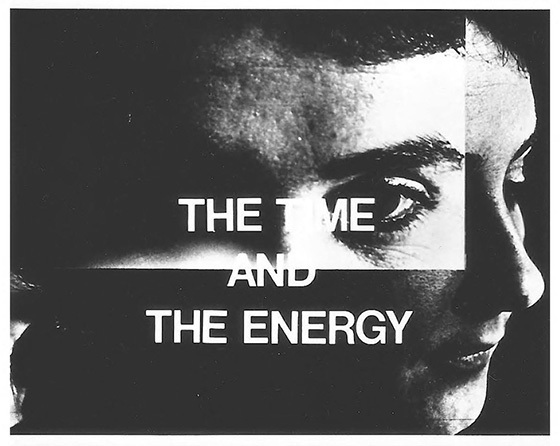 Originally produced for the interdisciplinary journal Formations, Marie Yate’s The Time and the Energy 1982, is re-activated in a new exhibition format. The work examines the relationship between image and text and the experience of filmic pleasure, alongside the pleasure of narrative and the reconstruction of reality. The collaborative work of artists James Tylor and Laura Wills’ project, The Forgotten Wars, seeks to decolonise the history of the Australian Frontier wars; a series of armed conflicts, massacres, and battles that took place from 1788 to 1930 between the invading British Government and Aboriginal Australians. 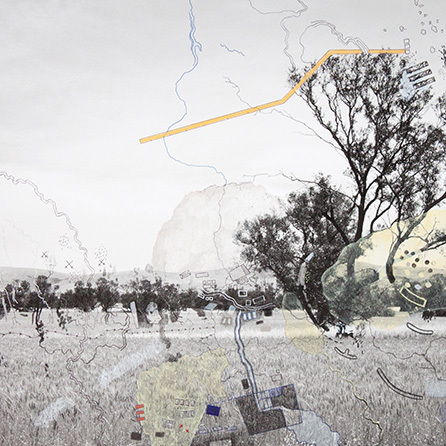 Through the layering of drawings of colonial era maps and documents directly onto photographic prints of the contemporary rural landscape, their work disrupts representations of Australian cultural identity and encompasses historical and contemporary techniques from Indigenous and non-Indigenous perspectives. Trafficking the Earth is a collaboration between photographers Xavier Ribas, Ignacio Acosta and an art historian, Louise Purbrick. Their collective and continuing research, under the heading Traces of Nitrate, has documented the movement of mineral wealth of Chile into global markets and European landscapes. Nitrate and copper is their focus. The transformation of these natural resources into industrial materials draw desert and city, slag heap and country house, ruin and regeneration, landscape and archive, Chile and Britain, into the same circuit of global capital. 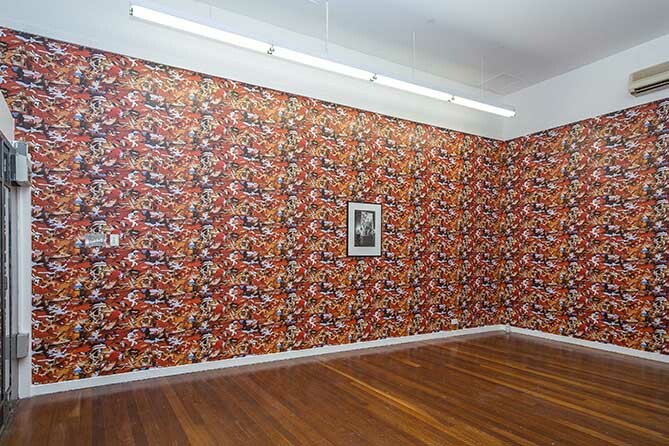 Pio Abad’s 105 Degrees and Rising appropriates two Vietnam War era visual references, the ERDL camouflage pattern that was developed and used by the US military and an infamous 1976 pin-up poster image of Farrah Fawcett, which are synthesised into a wallpaper design and shown at a domestic scale. Shown with a single black and white photograph from the artist’s personal archive, 1986 II, taken in the lavish palatial home of Ferdinand and Imelda Marcos on the day of their removal from power, the works merge personal narrative and cultural iconography and reveals the far-reaching impact of US global policy still felt today. David Birkin Pietà, 2012. 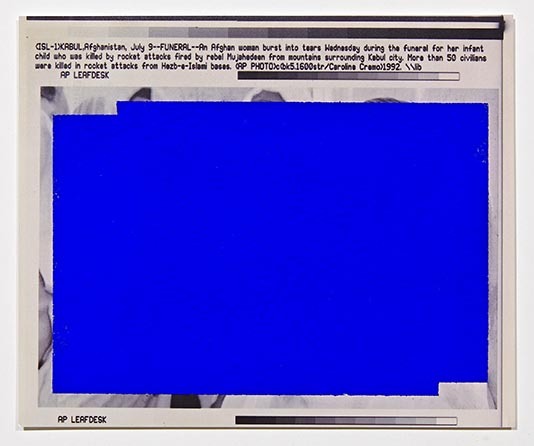 Associated Press wirephoto overlaid with Afghan lapis lazuli, 7 x 8 inches, Edition of 5 + 2AP, Courtesy of the artist. A constellation of David Birkin’s work is used to highlight inabilities of seeing through political acts of censorship and metaphorical blindness. At the centre of this critical approach to thinking is I Was So Entranced Seeing That I Did Not Think About the Sight, 2012; a work inspired by the deaf-blind activist Helen Keller, a figure who embodied a sensitivity to divisions and social enclosures. The selection of works extracts the cultural and political significance within definitions of the colour blue and includes a new series of cyanotypes, Midnight Blue, created in dialogue with material from documentary filmmaker and founder of Reprieve, Paul Hamann. 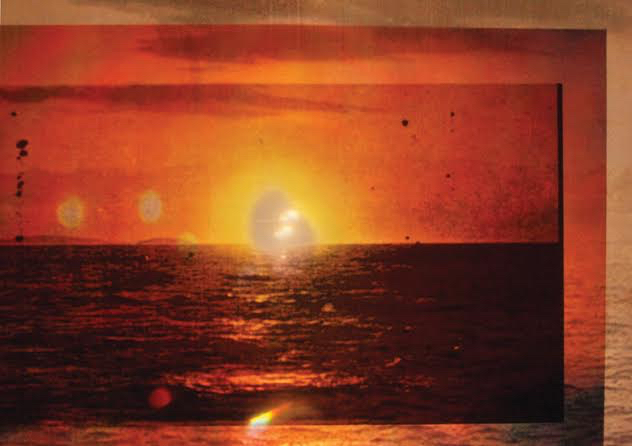 Susan Schuppli’s film, Can The Sun Lie?, is a question posed in a landmark 1886 US court case, where photographs were first used as legal evidence, and is reanimated by current climate change debates in relation to Canadian Inuit navigation and storytelling traditions. Schuppli explores the long standing dispute between lay knowledge and scientific expertise, and claims to truth that depend upon the material evidence of nature. In a new iteration of the installation hollow tongues, the collective (play)ground-less speculate upon the mediation of images and hierarchies of vision in relation to 3D imaging technologies, specifically real-time rendering game engines, and immersive forms of experience. The merging of the real, or the exhibition space, and Virtual Reality is harnessed as a tool for shared seeing and participation. 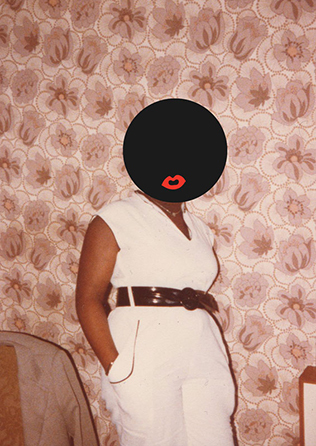 Glyth, a series of digitally altered collages on family photographs by Larry Achiampong references a colonial (mis)representation of blackness that has the potential to be forgotten. The motif of the ‘cloudface’, which has frequently appeared in Achiampong’s work as an interrogation of colonial imagery, also functions as a form of avatar that speaks of alienation, repression and otherness, as well as the possibilities offered by gaming platforms and Live Action Role Play as ways to build relationships and communities both on and offline. Event: Photography Focus Day, 19 January, 2018, 1:30pm. Hemera joins artists, Larry Achiampong, David Birkin, and Qiana Mestrich from the exhibition to explore key themes emerging from the work on display.